...who's house that is with the clothesline of diapers strung across their entry way & front door, then, welcome to the neighborhood. if you're a cloth diaper-er than you know what's up. 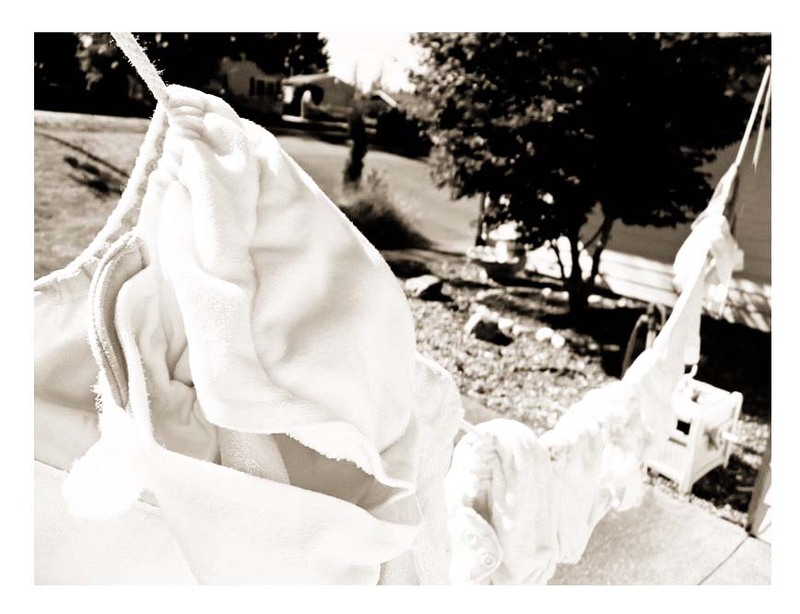 sun drying is the THE BEST way to dry/disinfect/bleach/get-rid-of-stains/make-your-cloth-diapers-last/ be "green" that there is. who knew nature could be so useful? i just don't recommend putting it off until late afternoon when the sun hits your house from the west & you have to resort to hanging your clothesline in the front of the house as opposed to the back. unless you like the whole pwt look. which, apparently... i do.